To get your project off the ground you will need an initial home visit; after this visit homearchitect will discuss your next possible steps via a menu of further architectural services. The service has been designed so that you can select those services that suit your budget and your project. 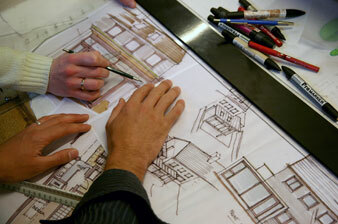 You may choose to use your architect across every aspect of the project or just simply for ideas and advice. Importantly, you always stay in control. Click on 'Architectural Services' to find out more about the initial visit or contact us to get your project started.